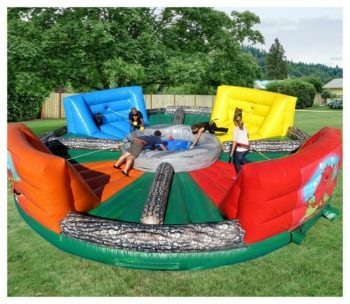 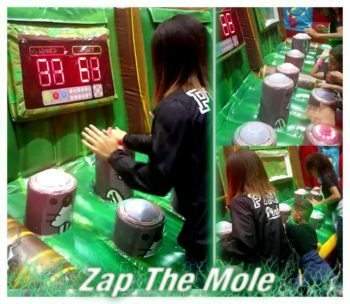 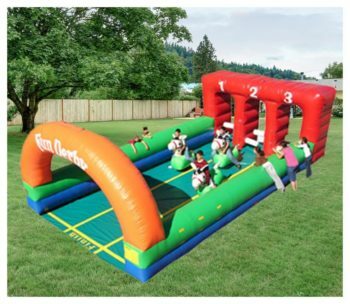 This inflatable attraction comes in 2 sizes – 2 person and 4 person joust. 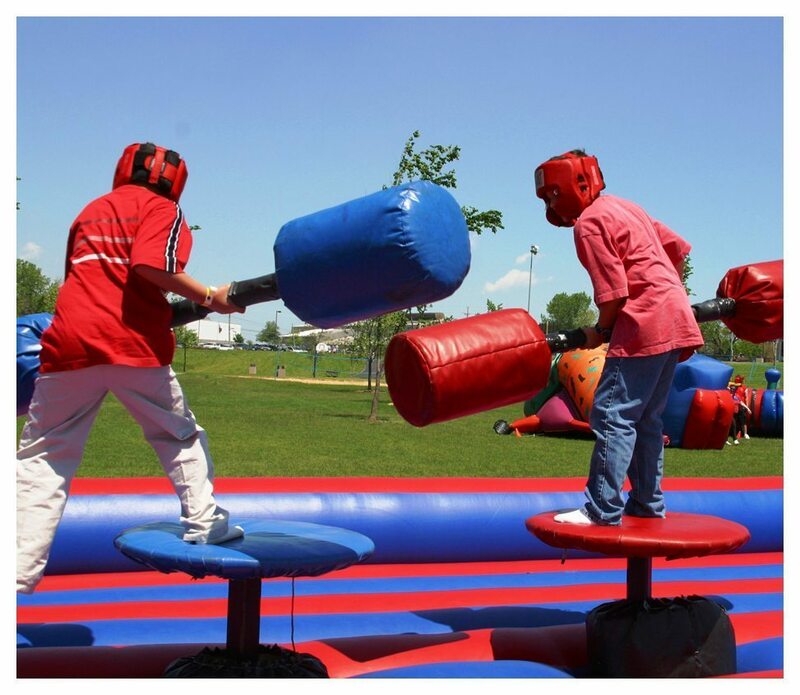 Competitors stand on elevated pedestals while swinging padded fighting batons while trying to knock off their opponent . 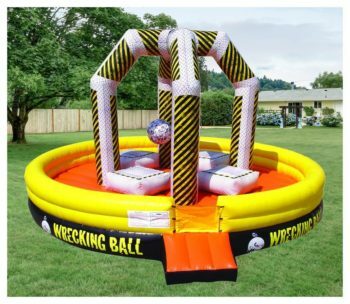 Who will be the last one standing?